What our customers are saying about our Holiday Cottages In St. Dennis To Rent. 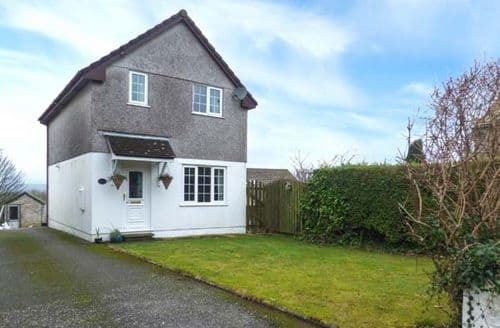 "A wonderful cottage in a very quiet secluded location in a small village called St Dennis. You are literally 30 minutes from St Ives/Penzance (Michaels Mount), 10 minutes from Newquay and its wonderful Fistral Beach, along with St Austell sitting 6 miles away. Too far away to worry about the holiday noise which is perfect. The cottage is super clean, maintained very well and is spacious if you are looking to bring some children. Only downside (again probably more for kids) is there is no Wifi in the cottage so if you are downloading pictures for the day or uploading to friends and family then make sure you have data on your phone and enough of it (signal was never an issue). The yard is spacious and contains a large hot tub which is lovely to sit and relax in after a days walking. We were there for 7 days (the second time in the last 2 years) and managed to squeeze in some wonderful areas including: St Ives, Michaels Mount, Polperro (wonderful), Looe, Padstow, St Austell - along with the King Arthur coastal walk. All in all, well worth a trip down if you are looking for a secluded relax in a very nice area. Oh, and try the local hotel (Boscowan Hotel I think?) - its literally only 100 yards into the village and serves great food at very reasonable prices.....oh...it also has your traditional Rattler :-) Great holiday, will come yet again probably in the next 12 months!" 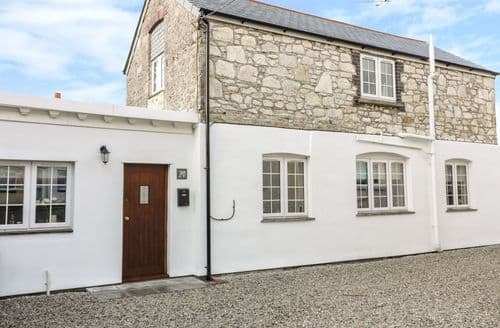 "You are literally 30 minutes from St Ives/Penzance (Michaels Mount), 10 minutes from Newquay and its wonderful Fistral Beach, along with St Austell sitting 6 miles away. Too far away to worry about the holiday noise which is perfect. The cottage is super clean, maintained very well and is spacious if you are looking to bring some children. Only downside (again probably more for kids) is there is no Wifi in the cottage so if you are downloading pictures for the day or uploading to friends and family then make sure you have data on your phone and enough of it (signal was never an issue). The yard is spacious and contains a large hot tub which is lovely to sit and relax in after a days walking. We were there for 7 days (the second time in the last 2 years) and managed to squeeze in some wonderful areas including: St Ives, Michaels Mount, Polperro (wonderful), Looe, Padstow, St Austell - along with the King Arthur coastal walk. All in all, well worth a trip down if you are looking for a secluded relax in a very nice area. Oh, and try the local hotel (Boscowan Hotel I think?) - its literally only 100 yards into the village and serves great food at very reasonable prices.....oh...it also has your traditional Rattler :-) Great holiday, will come yet again probably in the next 12 months!" 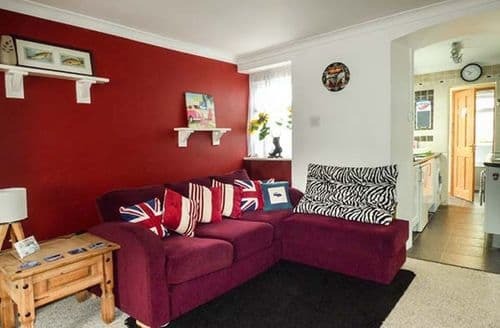 "Just returned from this lovely cottage after a week with my family the cottage is well laid out and comfortable and the hot tub was excellent day and night would be nice if under cover and a bit more private as felt a bit overlooked by neighbours. The use of a washing machine was great but could do with a rotary washing line outside to get things dry.outside was clean but a lot of weeds coming under the fence these are just little niggles but first impressions is everything. The property itself was quite clean again just little things like cobwebs around the rooms and dust in the bathroom and dirty marks on windows downstairs . The village itself has quite a few ammenties a spar,2 x pubs,doctors,pharmacy and 2 x chip shops.the hotel boscawen was extremely good very friendly and excellent meals and also dog friendly . 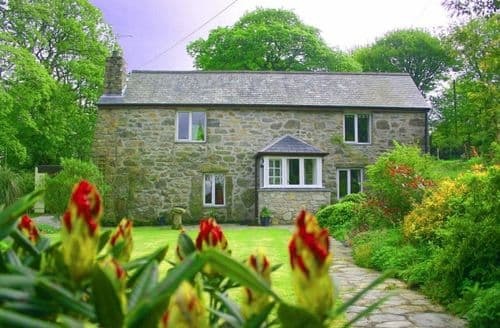 I have been as honest as I can but apart from the little things I would deffinatly return to this property as it was within easy drive of touring Cornwall." 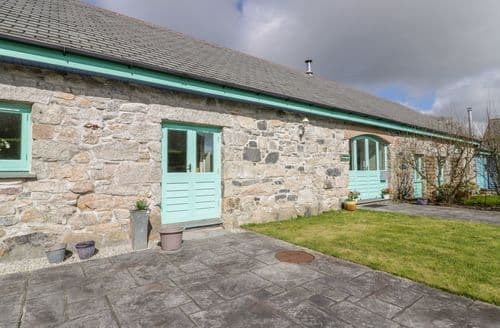 "The property was very well maintained, very clean, wonderful crisp clean bedding/towels, a more than fully equipped kitchen complete with all the extras that can often be overlooked. Location was terrific for our needs with none of our trips really being more than half an hour's journey. With larger grocery shops available just down the road if the local didn't stock what you need. Shame we ran out of time to try the local butcher and have a BBQ outside on the decked area. It was good to use a washing machine and clothes dried within the day, indoors in the conservatory, so it was great not to be overcome with piles of laundry on arriving home. Tons of space for clothing in bedrooms complete with plenty of hangers. Full length mirrors were a treat. Wish we could have stayed longer and made more of the facilities. We look forward to a return trip. Would recommend any day." "S73948 has every amenity you can think of...from the house being spotless to those fabulous towels provided! They've thought of so many little thing that can make your stay all the nicer. They provided fresh sets of towels at the end of the first week; the dishwasher had a little problem and that was quickly taken care of; our recycles were taken care of...there was a cream tea awaiting us along with wine and milk. It is a very, very special property and if we ever were to contemplate visiting that area of Cornwall again, S73948 would be the place to stay! And Sykes Cottages, you always make it easy to book a cottage...we just couldn't have had a better experience all the way around this year. Thank you and please commend the lovely owners of S73948!"